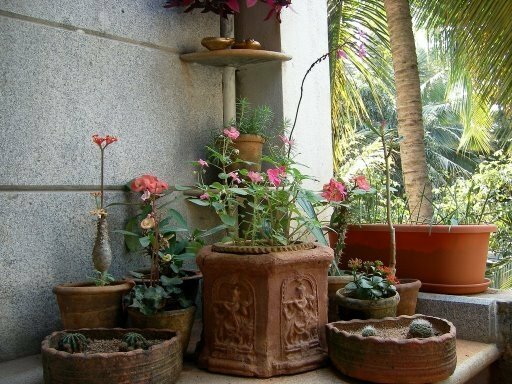 Looking for a makeover for your balcony or terrace garden? A few adventurous and creative friends have gotten together to bring some sunshine into your otherwise ignored or empty spaces. 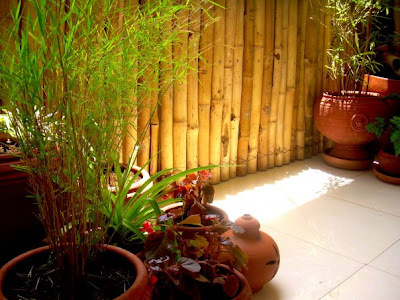 Complete with the sound of soothing water, a herb garden and beautiful terracotta pots, the MSB use different means to give your garden a brand new look. So, folks – if you have a balcony going to waste and looking utterly dejected – all you have to do is call up the folks at My Sunny Balcony. 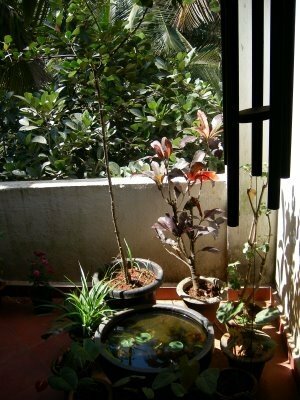 Most of us living in flats have this experience of letting our balconies turn into storage spaces or worse still, lie empty. 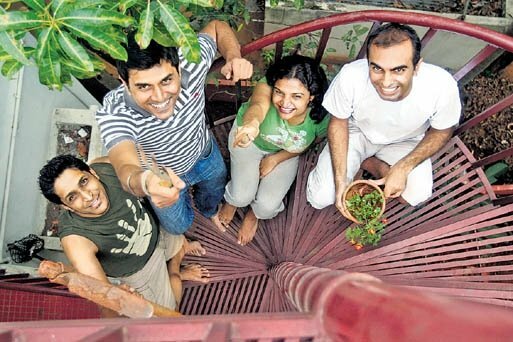 Athreya, Reena, Shailesh and Sriram – the foursome who have started this unique initiative are very hands on – they will come by and provide you with what you need to do to get a super looking balcony in a jiffy. And they still do everything themselves – so this is the right time to catch them – before they become famous and have assistants doing the work! And it won’t be long before that happens – they’ve already been covered in DNA, 080 and other newspaper articles. This is a labour of love for these guys and the stunning makeovers they already created are testimony to the hard work they put in so that your space looks like a million dollars!